Chinese manufacturers must cut their carbon intensity by 40% over the next decade, according to the State Council’s new ten-year action plan for the manufacturing industry. The plan, dubbed “Made in China 2025”, included a raft of targets and strategies aiming to transform China’s industrial sectors in the years ahead. According to the State Council document, manufacturers must reduce their CO2 emissions per unit of industrial added value by 22% by 2020 compared to 2015 levels, and 40% by 2025. It also announced a target to reduce energy intensity in manufacturing to 18% below 2015 levels by 2020 and 34% by 2025. The targets could trigger a further drop in China’s coal consumption, as industry relies heavily on coal, accounting for around half the nation’s use of the fossil fuel. China has yet to announce an economy-wide target for post-2020, but manufacturing typically has stauncher emissions targets than other sectors of the economy. China’s current five-year plan includes a 21% cut in carbon intensity by 2015 from 2010 levels, compared to 17% for the economy as a whole. Industry also has a 50% reduction target by 2020 from 2005 levels, whereas China has pledged a 40-45% cut in general. 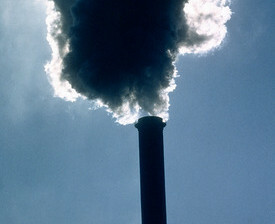 In a 2012-2020 climate change action plan released September last year, the NDRC said it aimed to cap 2020 emissions from “high carbon sectors” like cement and steel at 2011-2015 levels.